The MPC concluded its monetary policy review, and maintained a neutral stance, keeping both inflation and growth in mind. Tough times ahead, as NPA issue is still unresolved and inflation risks loom. RBI MPC meet April 2017 : The RBI held its bimonthly monetary policy committee meeting on April 6, 2017. The key lending rate (Repo rate) was maintained at 6.25%, but the reverse repo rate was increased by 25 basis points to 6.0% Repo rate is the rate at which the RBI lends to commercial banks, whereas the reverse repo rate is the rate at which the central bank purchases securities from commercial banks. Demonetisation ghost hangs over the economy : It is clear from the observations of the MPC meeting that a clear vision of emerging macroeconomy dynamics still remains confused by the transitory effects of DeMo. The CSO’s (Central Statistics Office) advanced estimate for 2016-17 has used information for only the first seven months of the year, though it has been optimistic. Some real hard work now : In view of the NPA ghost, RBI has proposed a mechanism to resolve the weakest bank balance sheets under a revised ‘prompt corrective action’ framework. RBI also allowed banks to invest in Real Estate Investment Trusts (REITs) and Infrastructure Investment Trusts (InvITs) in a bid to spur investments in core infrastructure sectors. The RBI projected that gross value added would strengthen to 7.4 per cent in 2017-18 from 6.7 per cent in 2016-17. Policy rates in turbulent times : The 6-member MPC showed caution in keeping the policy rate on hold. The MPC said it is dedicated to achieving the target of 4 % CPI headline inflation while keeping in mind objective of growth. 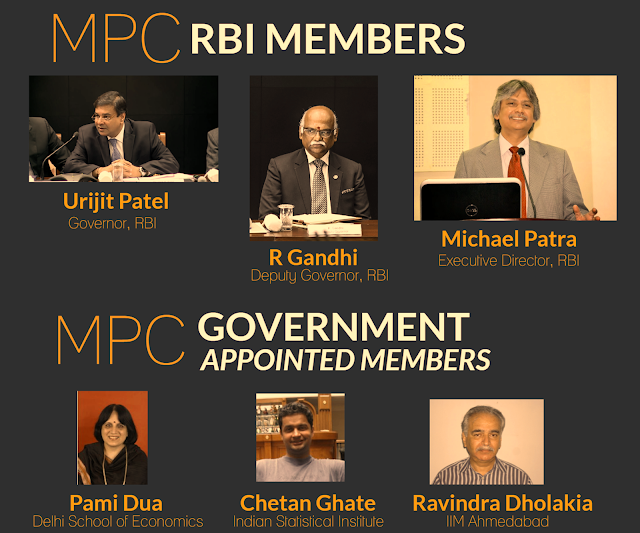 MPC decided to shift stance of monetary policy from 'accommodative' to 'neutral'. The committee feels that timely and effective transmission of policy rate reduction by banks is a critical part of this calibrated strategy. Top points in the agenda : MPC has set out three guideposts to improve efficacy of transmission: (1) Quick and effective resolution of NPAs (non-performing assets), (2) speedy recapitalization of PSU banks, and (3) full implementation of the formula for determining interest rates on small savings. Inflation can exceed expectations : RBI said that there are upside risks to the baseline projection — (a) the monsoon’s impact on food inflation in the coming year, (b) implementation of the allowances recommended by the Seventh Pay Commission and (c) one-off effects of the Goods and Services Tax. Government needs to act : Softening of interest rates would depend on how soon the problems of the bank non-performing assets (NPAs), recapitalization of the lenders and re-calibrating of the small saving, are resolved. Because these are deep political issues, it’s for the government now to address them. The Union Budget 2017 only had a meager Rs. 10,000 crore for recapitalization of PSBs (indicating some other plan in Govt’s mind). On stressed assets, the RBI feels that after completing the Asset Quality Review of banks, and with several other critical ingredients in place, such as the Insolvency and Bankruptcy Code and the Oversight Committee, the RBI has been preparing actively for an orderly resolution of the issue. Growth isn’t great, really : While inflation targeting remains an important mandate of the RBI's Monetary Policy Committee, subdued growth should also weigh on the policymakers. The RBI said that there was a need for a consensus on the issue of farm loan waivers as this could be seen as undermining honest credit culture. The RBI Governor cautioned that such waivers could lead to State governments borrowing more and crowding out private-sector borrowers. Some images for data and facts are presented below, for your reference. 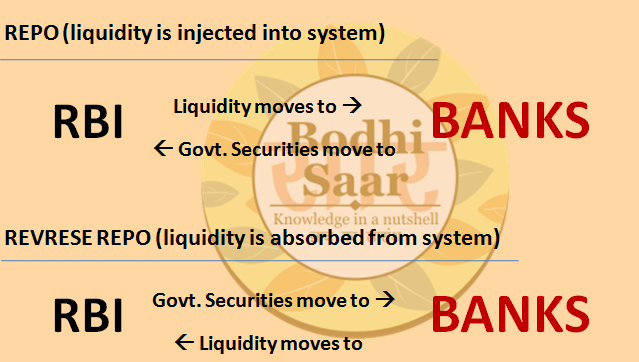 Studying them will give you a basic idea about RBI's monetary policy related functions.